About OptiMed Billing Solutions - Sarasota, Florida and Boston, Massachusetts billing management provider. Management: OptiMED Billing Solutions, Inc.
James is the founder and owner of OptiMED Billing Solutions, Inc. and serves as the company CEO. Jim is CPC accredited and holds membership in the AAPC and AMBA. Jim attended the University of Wisconsin-Madison where he majored in business/healthcare management. Involved in the healthcare industry since 2003, Jim excels at advancing OptiMED’s competitive edge as a leader in the medical billing-practice management field. Jim, a former NHL standout and winner of the prestigious Vezina Trophy, awarded to the NHL’s best goaltender, is one of four Americans to win this award. After retiring, Jim was determined to use his focus, drive and competitive nature to exceed expectation in the Medical Billing field just as he had done in the NHL. 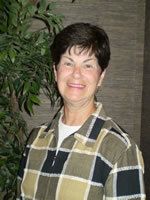 Beverly came to OptiMED Billing Solutions, Inc. with more than 35 years of experience working in the healthcare field. After serving as an account executive/reimbursement manager at Medicompts, Inc. for 30 years, Bev joined OptiMED in 2006. In that time she has become an instrumental part of our firm. Bev understands and embraces the important role our practice management company plays in our physicians’ success. She is responsible for overseeing account specialists as well as numerous executive tasks. Bev’s inexorable attitude and relentless determination have been invaluable assets to our clients. 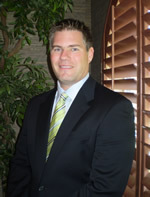 Lincoln Likness, D.O., serves as the chief medical director for OptiMED Billing Solutions, Inc. Dr. Likness is dually board certified in family medicine and osteopathic manipulative treatment by the American Osteopathic Board of Family Physicians and American Board of Family Medicine. He has completed a fellowship in primary care sports medicine at the Cleveland Clinic in 2009 and is currently a fellow in spine medicine at the Cleveland Clinic. He completed a dually accredited osteopathic and allopathic family medicine residency at the University of Wisconsin Aurora Family Medicine Residency Program in Milwaukee, Wisconsin, in 2008. He is a 2005 graduate of the Kansas City University of Medicine and Biosciences College of Osteopathic Medicine. Dr. Likness specializes in sports and spine medicine and is a consultant and physician for Cleveland Clinic Sports Health and Cleveland Clinic Medicine Institute. Designed by Creative Heads, Inc.